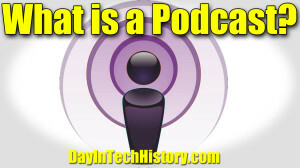 What is a Podcast? Everything you need to know about what a podcast is. A podcast (or netcast) is a digital medium consisting of an episodic series of audio, video, PDF, or ePub files subscribed to and downloaded through web syndication or streamed online to a computer or mobile device. The word is a neologism and portmanteau derived from “broadcast” and “pod” from the success of the iPod, as audio podcasts are often listened to on portable media players. Simply put, if you record audio, video or publish a PDF or ePub (electronic publication) you can place it into the <enclosure> tag of an RSS feed and allow it to be fed to the Internet. Further, if you add it to iTunes, it can be added to that podcast reader. No. The only affiliation to podcasting is the derivation of the “pod” from iPod. iTunes added podcasting with version 4.9 on June 28, 2005. Upon release, podcasters found their shows downloads quadrupled. 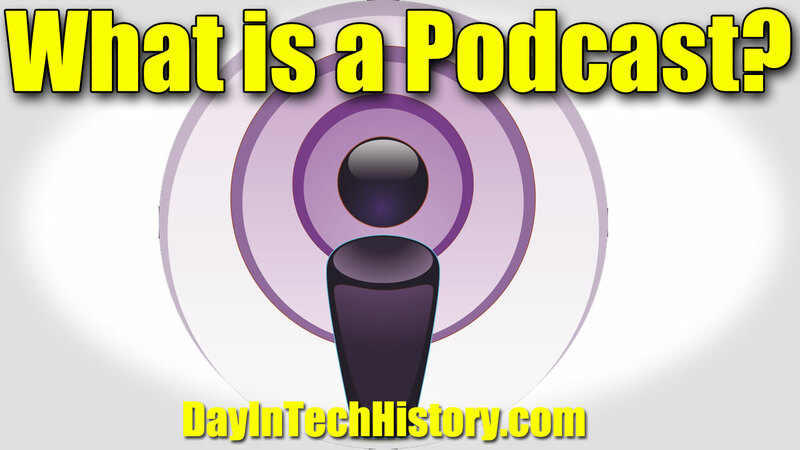 The first Podcast started in 2004. What Do I Use to Listen to a Podcast? Any MP3 player will allow audio podcasts. Video podcasts may require an MP4 or M4v player. Smartphones such as iPhone or Android will allow you to listen to shows. Even your computer can catalog and run your podcasts. Wait. There are Video Podcasts? Yes. Video podcasting is just as lucrative as audio. It requires more bandwidth and most likely a video podcaster is with a group of other shows. YouTube is technically a video podcast medium, although you cannot access via RSS feed.